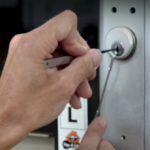 Locksmith Care » Is it worth to pay the cost for a professional locksmith? If we think about it, we will see that very often we have tried to solve a problem by ourselves, without even having some knowledge and skills, only with the intention of saving some money. How much will the cost for locksmith cost us and will we really save money if we try to solve the lock problem ourselves? Here, we will not go into detail, pointing to the prices of individual locksmith services, because every locksmith company, accredited and insured, has its own pricing based on various factors. Without specifying certain amounts, we will try to explain why it is more reasonable to pay the cost requested by the specialist rather than trying to do his job. What makes us do the job ourselves? Many of the locksmiths keep their own statistics about the activities people are trying to do alone with the intention of saving the cost of locksmith. It turns out that in different regions of the world the data is different. In some countries people are engaged in installing and replacing locks, while in others, the attempts extend only to unlocking the locked door with hand tools. In most cases, amateur attempts lead to tragic results, and eventually a call is made to the nearest accredited locksmith. The sad thing is that precious time was lost before, and considerable damage was done not only to the lock and the cartridge but also to the door itself. When people encounter a problem with locking their front door, the first idea for the majority of them is to take a screwdriver and disassemble the lock, believing that the damage will be easily removed. Sometimes it really is about dirt collected in the lock, the cartridge starts to move smoothly again. It is complicated when one of the small mechanisms is totally damaged, and the home master has no skills to notice it. 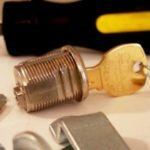 By deciding to save a cost for a locksmith, the man disassembles the lock to its component parts. Once he realizes that he can not assemble it, he buys a new lock or finally realizes he has to call a professional. Although relatively high, the cost of locksmith services is always worth paying. If you decide to save some money by attempting to fix the lock problem alone , you expose your personal property and the lives of your loved ones at risk. Just decide what is more valuable to you – a small sum or the things without which your life would not be the same? It is clear that in the cost of professional locksmith services are also calculated things that do not directly concern your problem. Yes, in the prices of all companies are added the fuel costs of the car, with which the locksmith has arrived at your property. Also included are depreciation expenses needed to cover the service of car and equipment. Do you think this is unfair? Actually not. In order to eliminate the malfunction of your lock, the locksmith has invested in a car and modern professional equipment, thanks to which he will be at your address within half an hour and the repair will be done in minutes. Locksmith prices – can we know in advance how much the professional service will cost? 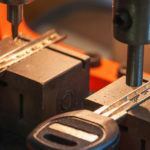 How to avoid the need for a good Whitby locksmith? How do you communicate with your locksmith Toronto Еtobicoke?